As a part of Rakuten's IT School Program, I went across 4 schools in different parts of Japan to teach high school students of about age 15-16 to teach them about Cross Border Trading, in English! There are huge playgrounds in the compound and dedicated play areas for different games - football fields, tennis and badminton courts being pretty popular. Once you enter the main building, it is totally silent. It is hard to imagine you're standing in a school. There's the main office where we would generally collect a visitor's badge. Just beside, there's a shoe-rack. You put your own shoes in there and wear dedicated slippers inside the building, strictly. The walls of the schools are covered in posters, advertisements, artworks, manga characters throughout the building. Once you enter the classroom, you change your slippers again. The students wear only socks inside, while teachers and guests keep their pair of previous slippers inside a rack and wear another fresh pair inside. Beside each rack there are several utilities to clean the rooms. Mops, floor washes, brooms etc. The classrooms are fully equipped! For a stationery craver like me, it was heaven! All kinds of colors, pens, sketch pens and the list is endless. They have a good supply of computers, digital pens, drawing boards, tablets for each student! Its a fantastic environment to be in! 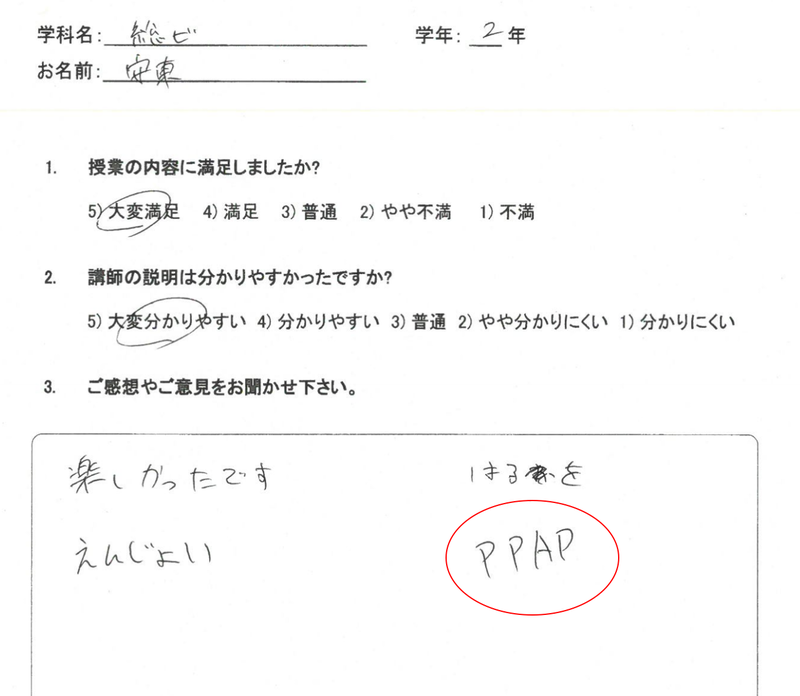 Since all schools are Japanese medium, all routines were conducted in Japanese. Before the class begins, the monitor instructs everyone to stand up, shout out a loud greeting yoroshiku onegaishimasu (literally means "Please help us") and bow down. 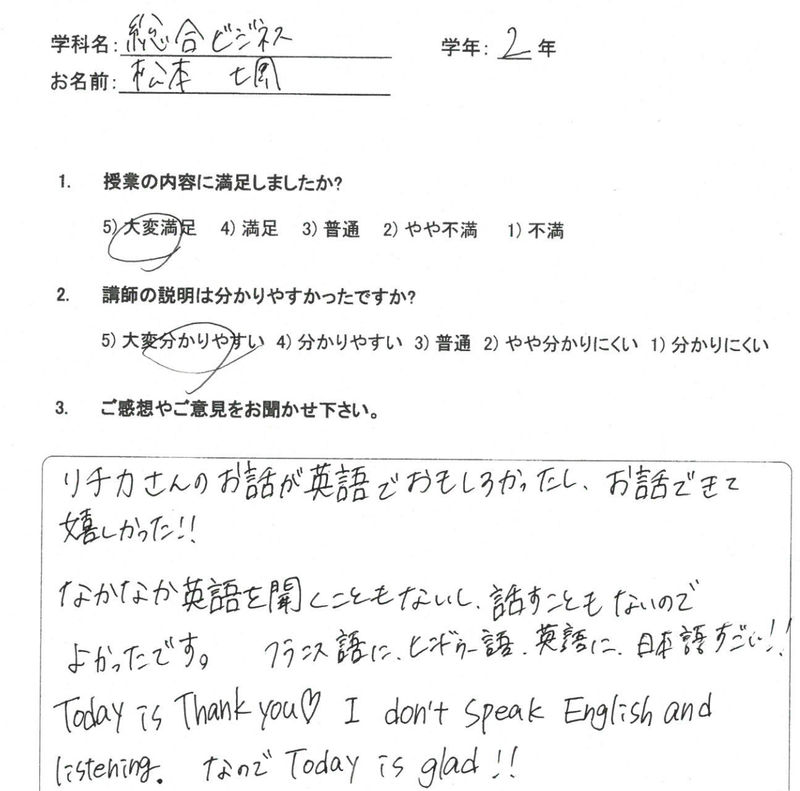 This was especially challenging and difficult for me, since my lecture was in English but all schools were conducted in Japanese. I was afraid that communication would be a problem and they wouldn't understand what I speak. But thankfully, I managed by using simple words, reiterating important/difficult ideas and using Japanese words in between to keep it bound together. Classrooms are very liberal in a way, the teacher doesn't shout or wake up a kid if he is sleeping. But the students in general were very fascinated, for some of them were being taught by a foreigner the first time and for others, they were meeting an Indian the first time! My class in Okinawa was particularly comfortable since the students were far more accustomed to English than the others. They even asked questions without hesitation and some of them even tweeted about me at the end of the lecture! I also took two classes in 2 schools of Aichi prefecture, which is about 2-3 hours from Tokyo, where students were more shy. They however didn't hesitate to ask me about Indian culture and latest trends in India! I somehow could feel the difference of students from Okinawa and from Aichi in terms of how shy they were, how mischievous or friendly they got and mostly the kind of questions they chose to ask me! My final lecture was in Nagoya. You could tell the kids had a mix of rural humility combined with modern thinking. They seemed far more ambitious and skilled than the other kids. Although they lacked English skills, they were tremendously good at presenting and making funny sales pitches. I would say, the teachers like to imagine that their kids are shy, but given the comfort and ease, they very quickly jump to asking questions and try to talk in English. One more thing to notice was how much they cared about latest trends and fashion. I guess it is cool to be a high school student listening to popular music and wearing fancy clothes or using the coolest apps. In general, the kids are highly skilled at drawing and sketching. Brilliant anime characters, ease of use of Photoshop and the comfort with which they used their pens and colours was very exciting for me. Even in their pranks with other kids, they'd make funny faces of their pictures and set them as desktop wallpapers. In all, they are full of creative design skills and posses a good sense of expressing their thoughts across. How I feel about it! It was a tremendous experience! 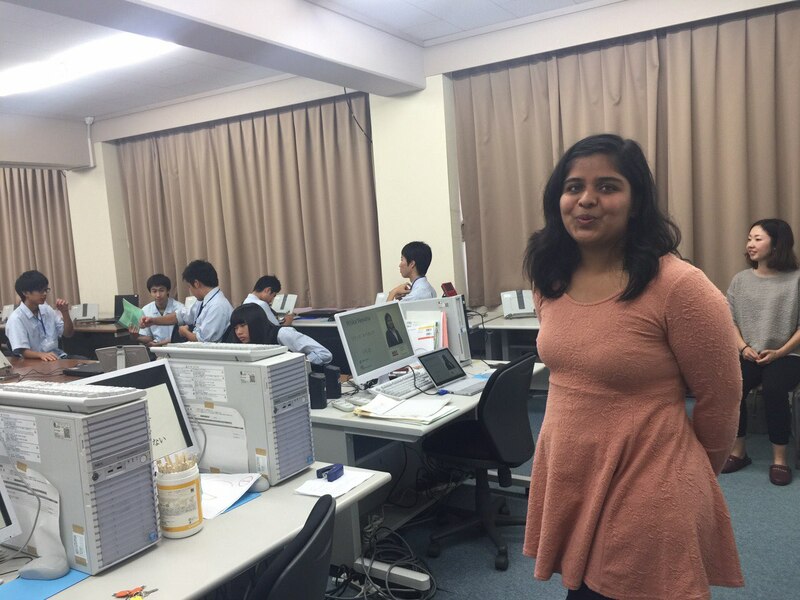 To have walked into schools, met students, given them a foreigner's perspective on web design, teach them a thing or two about Japan's economy and share my piece of thoughts! Most important take away for me, was to be able to communicate clearly in English with non-native speakers! I have thoroughly enjoyed the special attention I received at all schools! Cheers!